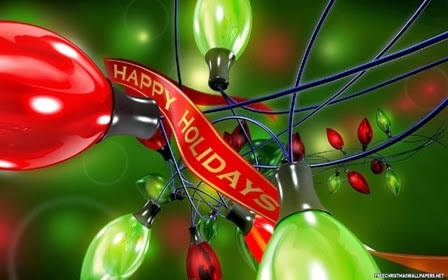 The Thanksgiving and Christmas Holiday Season often brings us in contact with people we don’t see very much during the year; former work colleagues, neighbors, relatives, and old friends. These people can all be very influential members of your network, and once you’ve reconnected over a holiday get-together or phone call, you can naturally follow up to ask for more specific assistance. For all the perennial die-hard internet job posting junkies out there — The first steps are simple but they take time. Don’t rush to click “Send” your resume into this company yet! Depending on the job posting date, the average search takes 60-90+ days to fill with the right person. 1. Do not hit “Apply Now”! 2. Research – Research – Research what you can find out about this company: competition” and “future trade shows/conferences/associations” and “EVERYONE” i.e. corporate officers, board members, board advisors, etc. etc. Feeling down about your job search these days? Is the broken economy hurting you and keeping you from finding a job? Need some motivation and tough love to help you stop pitying yourself? Well, here you go: 14 reasons you might have in your head about why you’re not as successful in finding a job as you should be. Theirs is no easy way to put this…..you’re lazy. Every single successful person works their butts off to get where they are. It’s ok to be lazy every now and then. Just admit it though how much time you are stuck in front of a PC looking at the internet job postings? The proverbial candy in the window? But don’t whine about not being employed and nobody wants to hire you…ok? Get out of house and start expanding your contacts by NETWORKING…..A LOT! The following questions can be used to start and maintain a conversation with a person you are meeting for the first time. 1. What attracted you to the [insert] industry? 2. How did you get your start in the [insert] industry? 3. What do you enjoy most about your role with [insert] company? 1. Understand the question. Miscommunication often occurs when you don’t pay close attention to what is being discussed. Make sure you understand what you’re being asked, and clarify the question if you’re confused. Ask the questioner to repeat or rephrase if you aren’t sure what they’re asking. 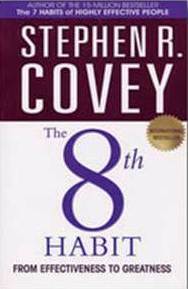 It is 18 years since Stephen Covey published his seminal work “The 7 Habits of Highly Effective People”, which was a hugely impactful book, selling millions of copies. In that book, Dr. Covey showed us how to become as effective as we possibly could be. In the 8th Habit, he opens up more potential for us all – by moving from “effectiveness to greatness”. The world today is different, with more challenge, ambiguity and complexity and while the 7 Habits form a strong basis upon which to start, it is this next step – the 8th Habit –that will take us to true fulfillment in what Covey describes as the age of the knowledge worker. The book’s synopsis promises that The 8th Habit is the answer to the yearning for greatness, the organization’s imperative for significance and superior results, and the human’s search for its “voice”. I believe there are some handy tips to be found in the book, but it is a much less intuitive read than his previous works. The book is divided into two sections. The first focuses on “finding your voice” and the second on “inspiring others to find theirs”. 1. What you can be the best in the world at? But equally important, what you cannot be the best in the world at? This discerning standard goes far beyond core competence. Just because you possess a core competence doesn’t necessarily mean you can be the best in the world at it. Conversely, what you can be the best at might not even be something in which you are currently engaged. 2. What drives your economic engine? When it comes to your job search, Google Alerts can be a useful ally. What are Google Alerts? They are notifications you get from Google after you have instructed it to monitor the Internet for new information about a topic of interest. Using the watchful eye of the world’s largest search engine is much more efficient than conducting your own daily manual searches. For a job seeker, Google Alerts’ powers are three-fold. You can use it to monitor your online reputation, get notified of new positions that become open, and stay abreast of news from your target companies. This set of inspirational thoughts for the new year will galvanize you into action.